They were among the eight members of the New York cell who distributed cards with debit account information hacked from financial institutions and organized “cashers” to pull out the funds, said U.S. Attorney Loretta E. Lynch, whose office covers Long Island and Brooklyn, and Steven Hughes, special agent in charge of the U.S. Secret Service’s New York field office. Long Islanders were among the victims when the New York cell took in $400,000 in 2.5 hours from more than 140 ATM locations in New York City last December, then raked in $2.4 million in 10 hours in almost 3,000 ATM withdrawals in the New York City area in February, federal officials said. 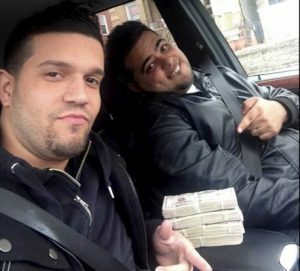 The men, all from Yonkers, then passed a portion of the proceeds to the hackers who organized the global scheme, prosecutors said. Rodriguez and Yeje laundered hundreds of thousands of dollars and bought luxury items, including cars, and in doing so, they helped investigators by taking a cellphone photo of themselves with $40,000 in cash in a car, Lynch had said. Each defendant faces up to 71/2 years in prison, forfeiture of goods and a fine of up to $250,000. Attorney Zachary Margulis-Ohnuma of Manhattan said his client Pena was a casher and had immediately turned over $53,000 at his apartment when he was arrested. Authorities did not immediately have the names of attorneys for the other two men.